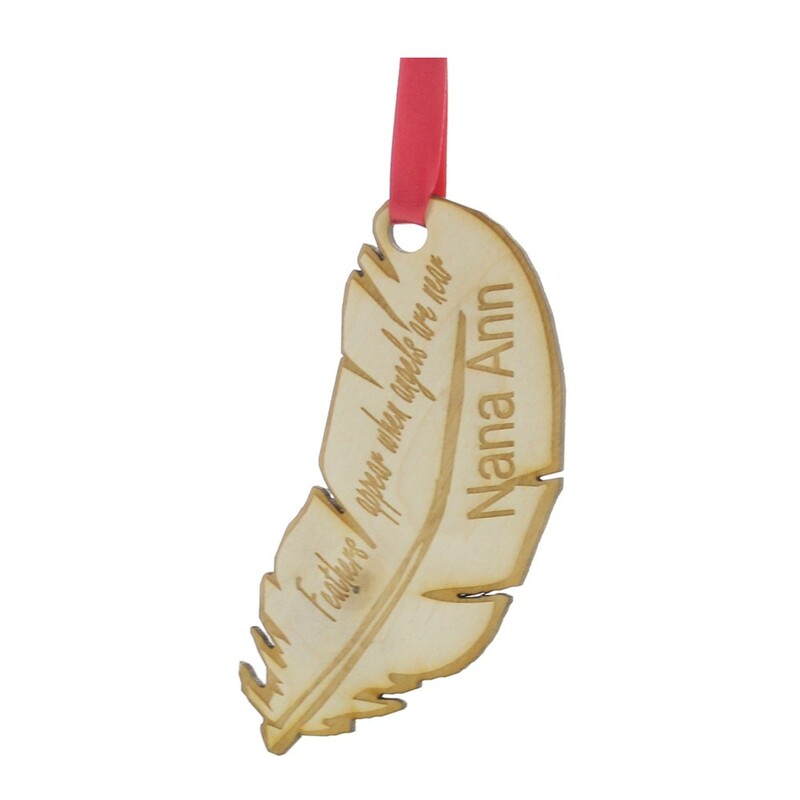 Personalised Engraved Wooden Feather Christmas Tree Decoration. This amazing unique Feather decoration measures 11 x 5cm. It is made from 3mm thick ply wood. You will receive the engraved design as shown, all you need to do is let us know the text you would like engraving.